The Birr 2 Day AutoTest Weekend will take place on 27th/28th April 2019. More Details and Regs Here. Why not join us in Campion Concrete, Kilcotton, Borris in Ossory, Co Laois (close to M7/M8) for our fun filled Autotest Weekend on the 27th/28th April 2019 . Tests will be Simple, easy to remember and will be suitable for Multi Venue, Endurance, Retro and Road Cars. Tests will be on mixed surfaces. One Event licences available (€25) but must be pre booked in Advance. Entry Fee €50 per day. Annual Birr Motor Club Social Night will be held on Saturday Night 27th April in Sheerans Bar Coolrain where Lar Hogan will be our splendid host as always. Accommodation is available nearby, contact Eoin Longworth (086 8179297) for details. 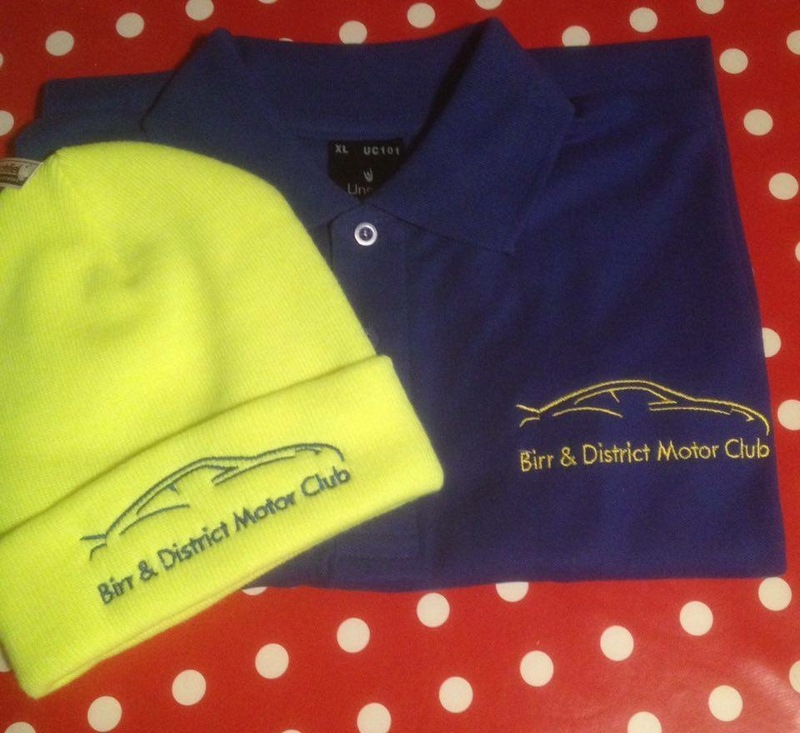 Birr Motor Club are pleased to offer Club Merchandise for sale. Contact Ger Conroy on 086 2538164 for more details and to place your order.